In a vote in Geneva, UN Human Rights Council agrees on an independent inquiry into the conflict in the Gaza Strip. In a blow to Israel's economy and image, American aviation authorities have extended a ban on US flights to Tel Aviv for a second day, spooked by rocket salvoes out of the Gaza Strip, with many other global airlines also avoiding the country. The country has already been hurt by mass tourist cancellations. International carriers are on heightened alert after a Malaysian airliner was shot down over a combat zone in Ukraine last week. "Hamas's success in closing the Israeli air space is a great victory for the resistance, a terrible failure for Israel that wrecks the image of Israeli deterrence," said Hamas official Abu Zuhri. Hamas leader Khaled Meshaal said that people of the Gaza Strip are just defending themselves against the Israeli aggression. Speaking at a press conference in Doha, he said that Gazans are "the prey, not the predator" in what is happening in the enclave. "Some thought that the people of Gaza were drained by the Israeli siege. They were surprised to see the brave fighters in front of them," he said. Khaled Meshaal, the leader of Hamas' political bureau, has said that they would will not agree to a ceasefire and then negotiate the issues of conflict, including the siege on the Gaza Strip. "We cannot accept any proposal that does not include the lifting of the siege on Gazans," Meshaal said in a a press conference in Doha. "Our least demand is the siege on Gaza to be lifted." He added: "What is the price to pay? How many Israeli soldiers is Israel willing to see dead before the siege is lifted?" Hamas leader Khaled Meshaal has offered six conditions for Israel to fulfill before agreeing on a truce. Al Jazeera's Sami Zeidan reports from Doha. The conflict in Gaza was the topic at the UN Human Rights Commission emergency meeting in Geneva. The UN human rights chief said the agency is failing to protect Palestinians. 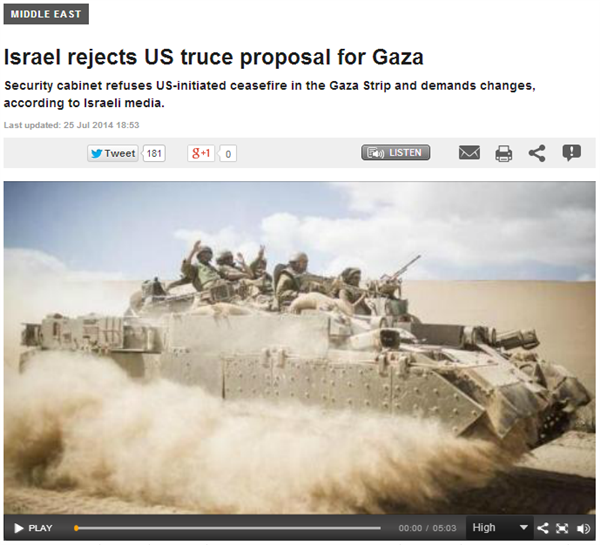 Navi Pillay also suggested Israel may be committing war crimes in Gaza. The US national aviation authority has lifted a ban on American flights to Israel, but warned of a "very fluid situation" amid intense fighting with Palestinians in nearby Gaza. "The FAA has lifted its restrictions on US airline flights into and out of Israel's Ben Gurion Airport by cancelling a Notice to Airmen it renewed earlier today," the Federal Administration Agency said in a statement. At least 23 Palestinians have been killed in the Gaza Strip in bombardment by the Israeli army on Thursday morning, Al Jazeera's correspondent is reporting. The latest deaths bring the total death toll in the 17-day Israeli assault on Gaza to 732, including scores of children. More than 4,600 people have been injured. Two Israeli civilians have been killed by fire from Gaza since the offensive began. The total number of Israeli soldiers killed since the start of the military assault rose to 32. One more soldier has been listed as missing and is believed to be dead. Three children were among 25 people killed today in bombardment by the Israeli military on the Gaza Strip. Most of Thursday's casualties were reported in the town of Khan Younis in southeast of Gaza, but ambulances struggled to enter the area amid intense fighting between Israeli troops and Palestinian Hamas fighters, Al Jazeera's correspondent reported. Since midnight, approximately 98 rockets were fired at Israel, out of which 70 hit Israeli territory and 25 were intercepted, according to a statement by the Israeli military. The military said that over the course of Wednesday, it "targeted over 100 terror sites across the Gaza Strip, including concealed rocket launchers, terror tunnels, militant compounds, and terror activity posts located within the premises of Al-Wafa hospital". Israeli forces have also detained 150 Palestinians suspected of involvement in “terror activity” and transferred them for security questioning, the statement said. Thailand on Thursday urged Israel to relocate 4,000 Thai nationals working near the battle-scarred Gaza strip after one of its citizens was killed. Israeli police said a farm labourer, Narakorn Kittiyongkul, died on Wednesday when a projectile fired from Gaza struck the greenhouse where he was working in the southern part of the country. Israel said its troops were engaged in combat in the area with Hamas gunmen and it was investigating the incident at the school, Reuters news agency said. The Israeli military also said that their sensors detected rockets being fired from Gaza that might have fallen short and landed in Beit Hanoun and might have hit the UN school. This is of course a rapidly developing story and information is changing constantly. We'll have more as it breaks. British low cost carrier easyJet said it will resume flights to Tel Aviv as scheduled from July 25, Friday, after regulators lifted advice over flying into the Israeli airport. easyJet said it would operate a flight from Tel Aviv to London on Thursday afternoon, before returning to its normal schedule, which includes connections between Tel Aviv and both London and Geneva, on Friday. On Tuesday the US Federal Aviation Authority issued a ban on the country's carriers from flying to Tel Aviv after a Palestinian rocket fired from Gaza fell close to Ben Gurion International Airport, with Europe's aviation regulator following suit with a recommendation not to fly there. They both lifted their warnings on Thursday. UN Secretary-General Ban Ki Moon has said he was "appalled" by an attack on a UN-run school in the northern Gaza strip that had killed women, children and UN staff. "Circumstances are still unclear. I strongly condemn this act," Ban said in a statement. "Many have been killed - including women and children, as well as UN staff." The Gaza health ministry said at least 15 people had been killed and some 200 wounded. US Secretary of State John Kerry will not stay in the Middle East indefinitely trying to broker a ceasefire to halt the Gaza conflict , a senior US official has said. 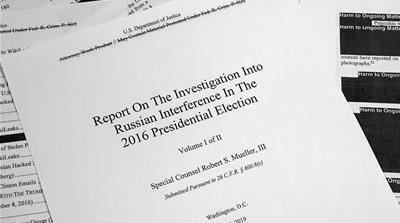 "Gaps remain between the parties, so his focus is on finding a formula that both sides can accept," said the senior US official, according to Reuters news agency. "But he is not here for an indefinite amount of time and in the near future he will determine whether there is a willingness to come to an agreement on a ceasefire." American, Russian and some European carriers have resumed flights to Israel on Thursday after a two-day freeze amid fears that rocket fire from Gaza was endangering commercial air traffic into Tel Aviv. However, some European airlines continued to suspend their flights, out of security concerns around Ben Gurion International Airport. Officials in Washington lifted a formal ban on American flights to Israel late Wednesday, and flights by carriers Delta, United and US Airways, as well as Air Canada, were scheduled on Thursday. The crisis in the Gaza is causing confrontations between left and right-wing citizens in Israel. Israeli activists who disagree with the military campaign are increasingly being seen as traitors. Al Jazeera's Kim Vinnell reports from West Jerusalem. A man has been killed in the village of Qalandia - near the West Bank city of Ramallah - and more than 55 have been injured by Israeli security forces, according to Palestine TV. Mohammed Al-Aaraj was killed after Israeli forces fired tear gas and rubber coated steel bullets at protesters near the Qalandia checkpoint, the state TV said. Inside Story discusses the UN investigation to be launched into Israel's ongoing assault on the Gaza Strip. Twenty-nine of the UN Human Rights Council's 47 members voted in favour of creating a commission of inquiry to look at possible war crimes committed by Israel. Only the United States voted against the resolution, while 17 states abstained. Qassam Brigades are saying they have shelled Tel Aviv's Ben Gurion airport with three M75 rockets. According to flight trackers, Air Canada flight AC84 appears to have circled over southern Israel several times, unable to land in Tel Aviv's Ben Gurion airport. 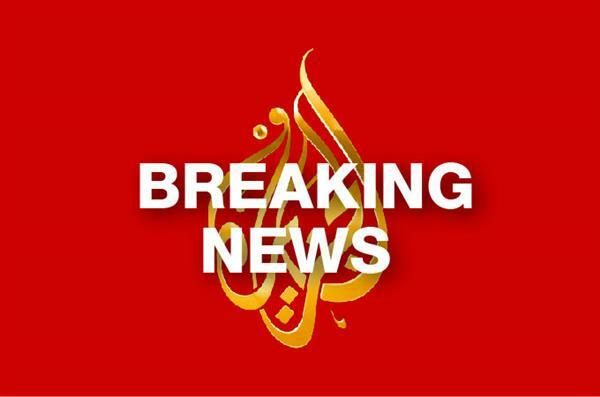 Qassam Brigades, Hamas' military wing, has fired three M75 rockets at Israel's main international airport. An Israeli military spokeswoman confirmed rocket fire from Gaza, though she declined to specify how close it had come to Ben Gurion airport. "We can confirm two rockets were shot down over metropolitan Tel Aviv," she told the AFP news agency. Palestinians are praying on the street outside the old city of Jerusalem, as men under 50 are barred for the fourth week in a row from entering the Aqsa mosque compound. The 18-day Israeli offensive on Gaza has so far claimed the lives of at least 826 Palestinians, including scores of children, according to the health ministry in Gaza. More than 5,200 others have been reported injured. Rockets fired from Gaza into Israel killed two Israeli civilians and a Thai migrant worker. The fighting also killed 32 Israeli soldiers. US Secretary of State John Kerry huddled with UN chief Ban Ki-moon and Egypt's foreign minister as pressure built for a ceasefire in Gaza. Kerry, who spent another night in Cairo reaching out by telephone to regional officials, met Ban and Egyptian Foreign Minister Sameh Shoukri for around half an hour. The top US diplomat has said he would speak to reporters later Friday, on what could be the end of his week-long mission to the region. The United States has worked with Egypt on a plan that, diplomats say, would provide a humanitarian pause in the deadly Israel-Hamas conflict ahead of talks on key issues. US officials said that Kerry has spoken repeatedly by telephone with the foreign ministers of Qatar and Turkey, which are seen as influential over Hamas. A football match to be played in Austria on Saturday by Israeli team Maccabi Haifa and German team Paderborn has been moved to a new venue due to security concerns after a violent anti-Israel protest disrupted the Israeli team's last game in the country. The match will now take place in the town of Leogang in Salzburg province, where Maccabi Haifa's training camp is located, after the town of Kirchbichl, about 60 kilometres away, refused to host the game for security reasons. Protesters against Israel's military offensive in Gaza invaded the pitch and attacked Maccabi Haifa players at a friendly game against Lille on Wednesday in the Austrian town of Bischofshofen, causing play to be abandoned. As clashes between Israeli security forces and Palestinian protesters continue across the occupied West Bank, mourners gather for the funeral of Mohammad Al Araj, who was killed on his 17th birthday. Read the report by Al Jazeera's Dalia Hatuqa here. 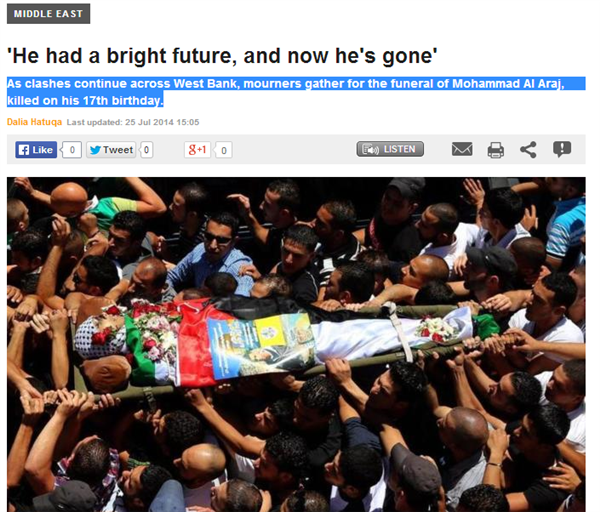 Imtiaz Tyab, our producer in Ramallah, reports on the latest deaths in the occupied West Bank. "At the end of the day, three factors will decide the winner of the battle [between Palestinian factions and Israel]: the field, people’s steadfastness and the political prudence. What is targeted in Gaza is resistance, its arms, its steadfastness and the hope it gives to people. As Gaza has won victory; as we are on day 18 and the Zionists, backed by the whole world, are not able to achieve their goals from the war, it is a living proof that the resistance has triumphed." "Israeli failure is clear; achievements by the resistance are evident. Israelis' fear of failure caused them to lower the ceiling of their demands as they learned the lessons from 2006 war on Lebanon. It is also a proof of the failure of their intelligence on the capabilities of the resistance." Al Jazeera talks to Middle East analyst Sharif Nashashibi about the latest diplomatic efforts to resolve the crisis in the Gaza Strip. The World Health Organisation has called for a humanitarian corridor to be set up in Gaza to allow aid workers to evacuate the wounded and bring in life-saving medicines. Even during wartime, belligerents are obligated under international humanitarian law to ensure that people are able to reach medical care in safety, the WHO and Red Cross said on Friday. Yet some sick and injured in Gaza are dying because of a lack of access to ambulances or health facilities, or the inability to leave the enclave for specialised treatment, the agencies said. A French lawyer said he had lodged a complaint at the International Criminal Court (ICC) on behalf of the Palestinian justice minister accusing the Israeli army of "war crimes". The complaint targets "war crimes committed by the Israeli army in June and July 2014 in Palestine" in the context of the operation known as Protective Edge, Gilles Devers said on Friday. "Israel, the occupying power, is carrying out a military operation which in principle and form violates the basis of international law," he said. 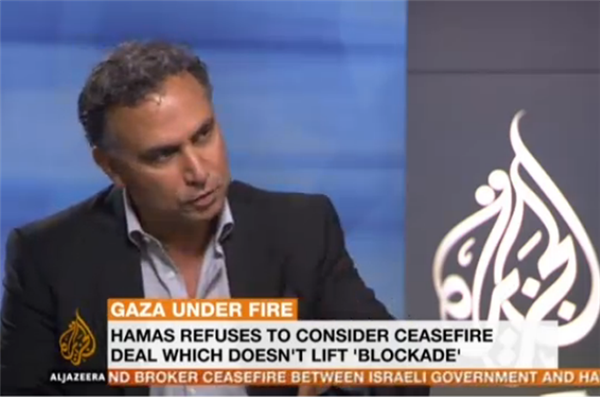 Marwan Bishara, Al Jazeera's chief political analyst, speaks about the latest deadlock in ceasefire negotiations. According to the AP news agency, the proposal by the US secretary of state John Kerry called for a week-long pause in Israel-Hamas fighting. During this time, the two sides would begin indirect talks on easing the border closure of the blockaded Gaza Strip. At a news conference in Egypt after the Israeli rejection, John Kerry said diplomats were still trying to agree a deal. "We are working towards a brief seven-day peace in honour of Eid, to bring people together to create a more durable ceasefire," he said. You can read our latest story at this link. 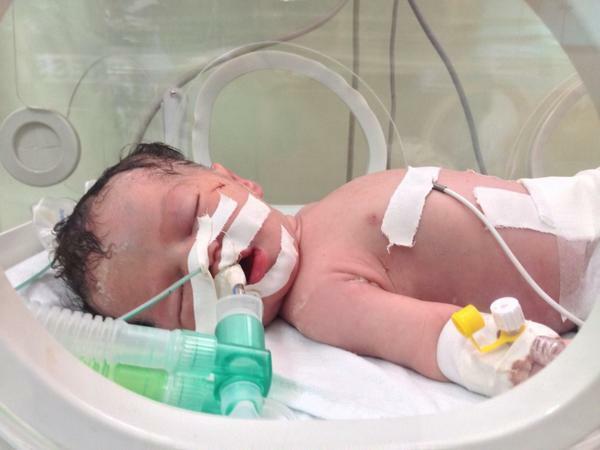 Despite the growing number of deaths in Gaza, one unlikely survivor is a new born baby, whose mother died of her injuries. Al Jazeera's Nicole Johnston reports from Deir al-Balah in Gaza. Israeli navy has hit multiple areas around #gaza port especially at the beginning of this conflict. German airlines Lufthansa and Air Berlin said they will resume flights to Israel on Saturday July 26, lifting a ban imposed in response to fears that rockets being fired from the Gaza strip could pose a threat to aircraft. A 12-hour ceasefire came into force between Israel and Hamas in the Gaza Strip at 8am (05:00 GMT) on Saturday, the 19th day of a conflict that has killed at least 900 people. Israel and the Palestinian armed group said they would observe the temporary UN-mediated ceasefire, after US Secretary of State John Kerry was unable to reach a lasting truce during talks on Friday in Cairo. A few minutes into the scheduled start of the ceasefire, Al Jazeera's Nicole Johnston, reporting from Gaza, said it is still difficult to know if the fighting has stopped in all parts of the Gaza Strip. "Sometimes it does continue in pockets for a little while. It may take some time for the ceasefire to completely come into effect," she said. In the lead-up to the ceasefire, our correspondent said the battles were "incredibly heavy" overnight. "Rockets have been fired from Gaza. I heard constant sounds of shelling from the Israeli navy ships that are positioned just off the coast," she said. At least 10 houses in Gaza were reportedly struck by Israeli aircraft overnight, she said, including one house in Khan Younis, where at least 20 people, most of them members of the same family, died. 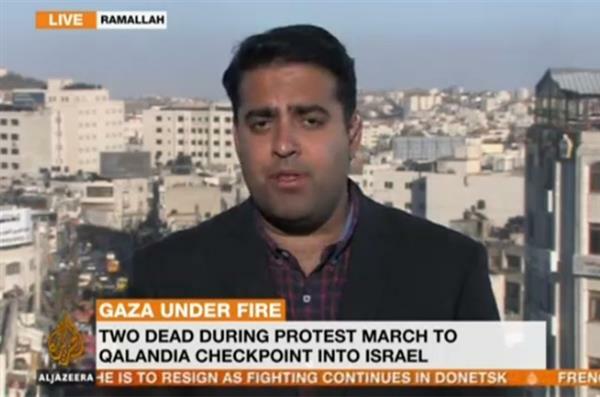 "Ahead of the ceasefire, it was a very difficult night for the people of Gaza", Al Jazeera's Johnston said. 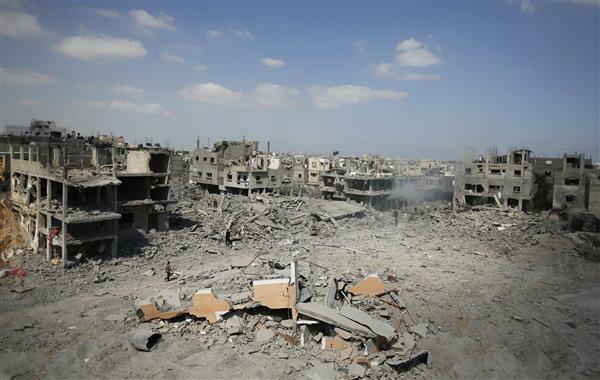 A general view of destruction in Beit Hanoun town in the northern Gaza Strip. An emergency medical worker was killed and three others wounded, one critically, when two ambulances from the Palestine Red Crescent Society came under attack in Beit Hanoun, Gaza, the ICRC said. 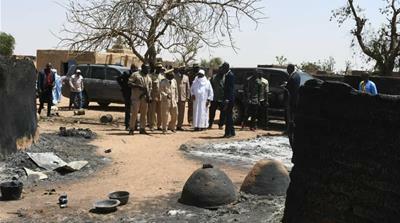 The attack took place on Friday, according to a statement by the ICRC. occurred in Gaza over the past two weeks. The ambulances were clearly marked with the red crescent emblem, according to the organisation. Turkey lifted a ban on flights to Tel Aviv's Ben Gurion airport after a ceasefire was agreed between Israelis and Palestinians, the state's SHGM aviation authority said on Saturday. "Taking into account the current ceasefire situation, the flight ban on Israel's Ben Gurion airport has been lifted, pending a subsequent announcement," it said via its Twitter account. İsrail Ben Gurion havalimanına konulan uçuş yasağı mevcut ateşkes durumu da dikkate alınarak ikinci bir bildirime kadar kaldırılmıştır.